Come and visit us so you will ventilate your head and discover the Alps! Dare to rent a cottage in the mountains! Forest walks , hiking , lake , river, everything comes together for a successful holiday . If you want to have a good weekend or a short stay in the mountains do not hesitate , our accommodations await you at Chalp Chantelouve , a small mountain village in Isère . We offer cottages for rent ranging from a capacity of 4/5 people up to 12 people for the greatest . Each cottage has at least two bedrooms, each with a double bed . simple cots or extra beds can increase the beds as well as sofa beds in the living room . Each cottage has a fireplace in working condition ( wood stove to the lodging of Vernes ) . The kitchen area of each cottage provides everything necessary for the stay : stove, oven, microwave , coffee maker, large fridge with freezer area , stoves and pans, dishes , raclette . All cottages have TV and DVD player . Each rental is individual, no sharing with other tenants . Nb : cats and dogs are allowed in our rentals . Oisans is a region in the Alps south of Grenoble. 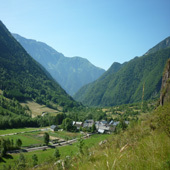 The capital is Bourg d'Oisans located 15km from our cottages . 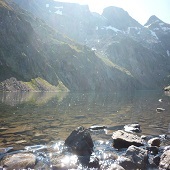 The natural park of the Jewel cases is a large protected area of the Oisans allowing magnificent hiking in a beautiful natural setting . Chamois, ibex , mountain sheep , deer populate our mountains. It is not rare to notice hike starting soon ..
Valley Lignarre in which is part of our cottages Ornon Pass north to south Valbonnais , then Mure . You will pass through the villages of Perier , birthplace of mountaineering in the early 20th century , the house Entraigues with the Ecrins park and Valbonnais , with its castle and its lake ..
L' Alpe d'Huez and Les 2 Alpes are about 40 minutes away. Ideal for winter power skis . In Ornon you will find some tracks (green , blue and black ) as well as cross -country trails or snowshoes. The major part of our winter rentals are aimed skiing . Activities around the cottages are many and varied , hiking the summer of course . Winter access to many ski resorts will indulge in the joys of skiing. 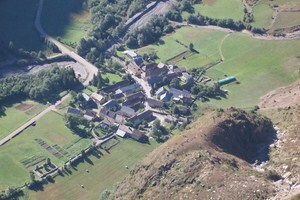 Swimming, archery , horseback riding , minerals museum bourd of Oisans , cycling, mountain biking etc. The little lake of Valbonnais is 12 minutes drive from the cottage you can walk along the River Malsanne . In Ornon you can have a drink on the terrace or a stroll along the cross-country trails . Our pricing policy is to allow access to the mountain for rental for more , that's why our rates have not increased for two years. Consecutive weeks provide access to promotions, often we do promotions on last minute holidays or off season. A reservation is possible on weekends off season for 3 or 4 days . The rates here . 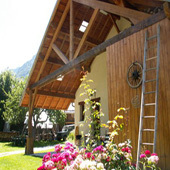 Also booking of two cottages by the same group also helps to have a price on the entire rental.